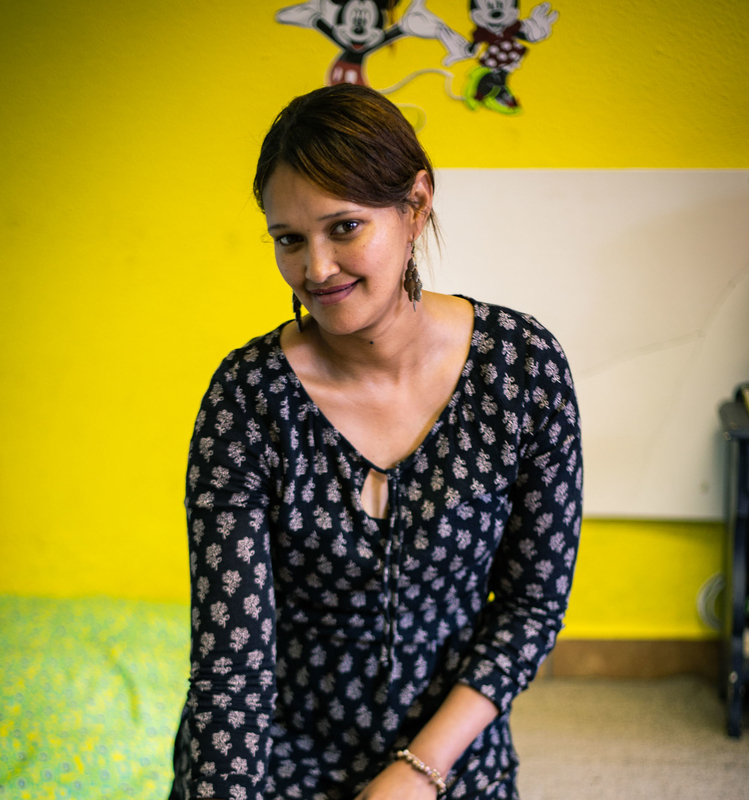 These are the words of Ms Renske Minnaar, CEO of Bergzicht Training, a non-govermental organisation (NGO) based in the Winelands that helps poor, semi-skilled as well as unemployed persons in the Western Cape to improve their lives by equipping them with practical skills through courses in self-empowerment, Educare, Health and Frail Care, and Professional Cooking as well as workshops in Entrepreneurship, Life Skills and basic computer training. Since 1992, Bergzicht has trained more than 10 000 students of which 76% found permanent employment throught its Placement Bureau. “Thanks to the R73 000 donation from BATSA, we will be able to train 12 beneficiaries through our six-week Self-Empowering Foundation course. Once these beneficiaries have completed that course, they will proceed to one of our advanced courses and upon qualifying, we can place them in permanent employment through our in-house Placement Bureau,” explains Minnaar. The R68 000 received from SAB, she says, will help them obtain essential learning materials for all their courses. 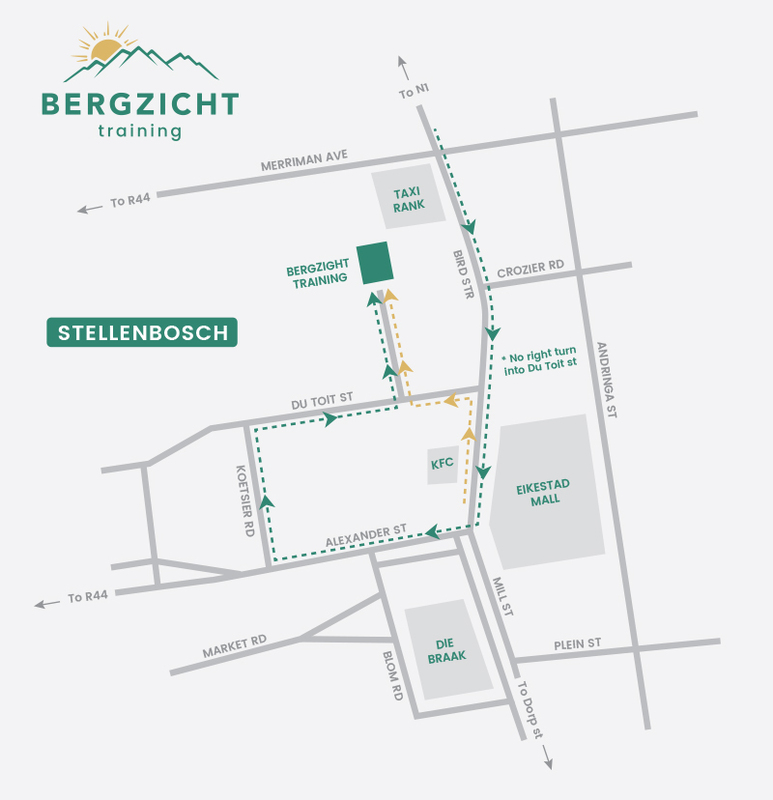 Minnaar, along with her team, is the driving force behind this vision and has first-hand witnessed the profound effect that skills development training has had on the lives of young women and men who walk through Bergzicht’s doors. There is for instance Thabisa Gwatyu from Kayamandi who had been unemployed for more than a year before hearing about Bergzicht Training from a neighbour. Gwatyu now works as a cook at the restaurant at Hartenberg Wine Estate. 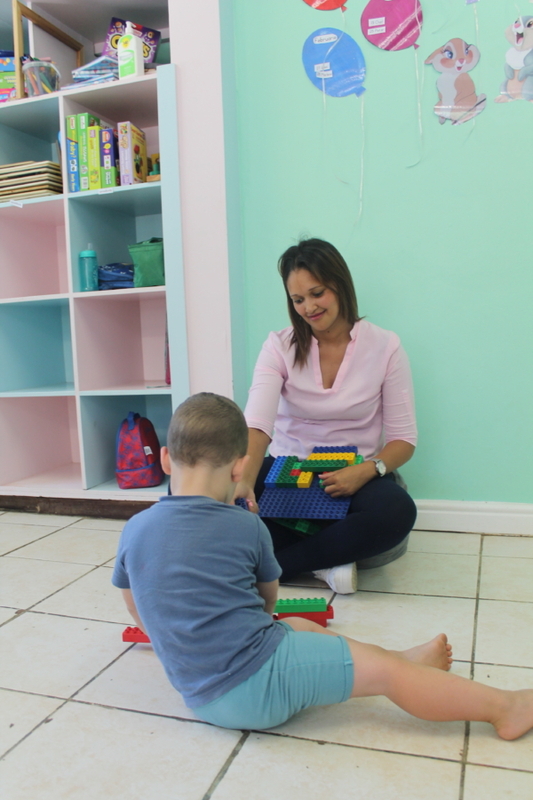 Then there is Sharon Carolus, currently an assistant cook at a Fedics-managed restaurant at Santam in Tygervalley, who fell pregnant at 16 and remained unemployed for more than a decade before she registered for a course at Bergzicht. Ms Lanaine Abrahams (back row, third from the left) from BATSA recently handed over a R73 000 cheque to fund 12 beneficiaries through Bergzicht Training’s Self-Empowering Foundation course. With Abrahams are some of Bergzicht’s current Self-Empowering course students as well as staff – Mr Howard Bergins, Manager: Placement Bureau (far left in the front row); Ms Catherine-Ann Carolus, Facilitator of the Self-Empowering course (second from the right in the second row); and Ms Renske Minnaar, CEO of Bergzicht (next to Carolus). 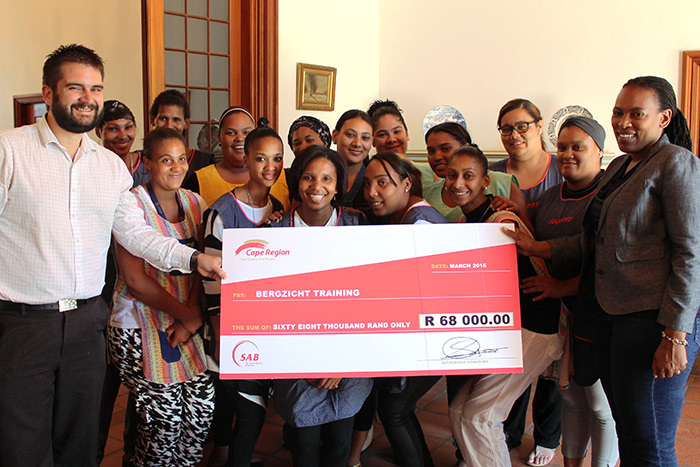 Mr Rowan Dunne, Corporate Affairs Specialist from SAB (far left in the front row) and Ms Zukiswa Gaqavu, the Corporate Affairs Manager (Cape Region) at SAB (far right in the front row), handed over a cheque of R68 000 to Bergzicht Training for the sponsorship of learning materials for Bergzicht’s courses. With them are some of the current Educare programme students enrolled at Bergzicht.